The former arsenal and Manchester united striker van persie has annonced that he would be retiring from football at the end of the season. Van Persie, 35, joined Arsenal from Feyenoord in 2004 and spent eight seasons with the North London side, winning an FA Cup before moving to United in 2012, where he helped guide the club to the Premier League title – finishing the campaign as the leading goal scorer with 26 Former Manchester United and Arsenal forward Robin van Persie has said he will retire from football at the end of the season. 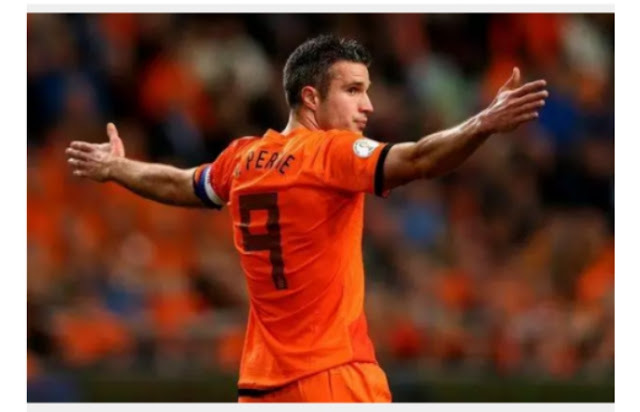 Van Persie, 35, joined Arsenal from Feyenoord in 2004 and spent eight seasons with the North London side, winning an FA Cup before moving to United in 2012, where he helped guide the club to the Premier League title – finishing the campaign as the leading goal scorer with 26. And, in January 2018, he returned to Feyenoord following a two-and-a-half-year spell in Turkey with Fenerbahce. “That is probably at the end of this season,” he told AD in response to being asked when he plans to retire. “I will be 36 years old and will have been a professional for 18 years. Feyenoord won the KNVB Cup last season, but finished the 2017-18 campaign in fourth place and currently sit seven points adrift of leaders PSV Eindhoven in the Eredivisie table. However, Van Persie insists his return won’t be deemed a failure if he doesn’t win the title this season. “I also do not believe that my return to Feyenoord has only been successful if we win the title,” he said. “How is it successful? This is actually it, if you look at the whole picture: I had lost the fun. “That’s not how I wanted to end, without pleasure. The fun has returned at Feyenoord. I want to win as a football player and the cup win was nice, but that is not the measurement between whether it is successful or not. “I wanted to give something back, share my experiences. I am trying to help my fellow players. I see it as broader than just winning a title or not.